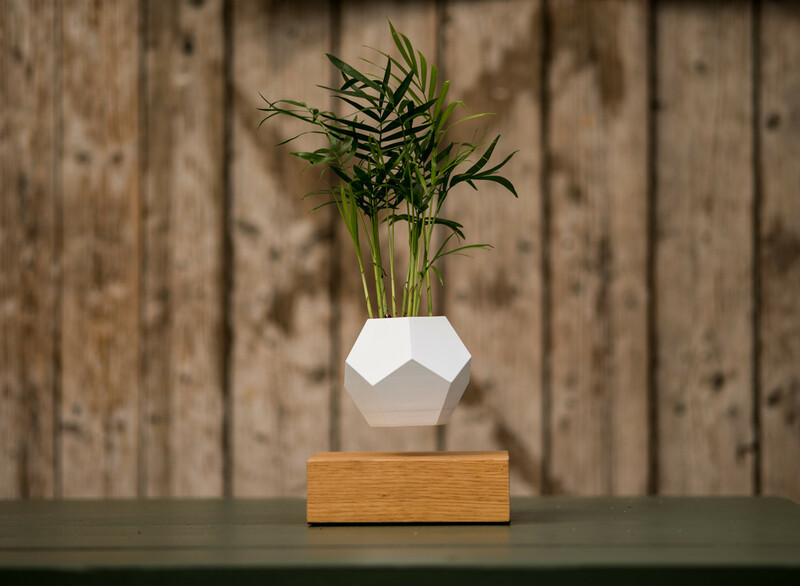 Lyfe is a small planter engineered to float a 12-sided geodesic silicone planter above a wooden base as a “zero-gravity growing system”. Similar to the magical Hoshinchu Air Bonsai with an electromagnetic base previously devised by the Swedish company, Lyfe is designed to allow plants to float and rotate for even sunlight exposure throughout the day. But let’s be honest, all this talk is secondary to the pleasure of enjoying a floating indoor garden gently rotating at your desk, a subtle technological feat of electromagnetism. Designed specifically with air plants in mind – because of their ability to grow without soil – the planter hides a small drainage system to prevent overwatering.